Commercial Security Rolling Grilles Closures from Overhead Garage Door LLC. The commercial security grilles we provide at Overhead Garage Door, LLC are a perfect fit for businesses that need a secured barrier to prevent theft, trespassing or even debris; they are often used in retail settings in shopping malls, airports and service windows. At DFW Overhead Garage Door, LLC, we supply commercial security grille and closure options from C.H.I Overhead Doors and Wayne Dalton. Each of these top commercial overhead door companies design and manufacture their security grilles to exceed retail security expectations to protect business’ products, property and tangible investments. 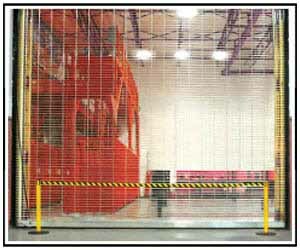 Designed to maximize security, visibility and ventilation, the durable construction technique of the Wayne Dalton rolling security grilles ensure years of reliable and consistent performance for commercial customers. Constructed of aluminum, galvanized steel and stainless steel with multiple pattern, powder coating, operation and locking options available, the Wayne Dalton security grilles can be customized to meet each security, aesthetic and operation need for any commercial or retail setting. 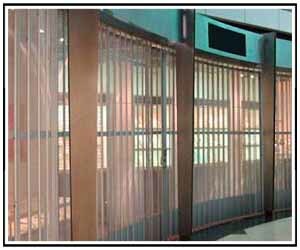 The security grilles and closures offered by C.H.I. Overhead Doors are available in three model options. Each model provides unique and specialized security features for all types of commercial settings. The 9100 Side Folding Grilles and Closures from C.H.I. Overhead Doors offer the optimal way to secure an opening for nearly any business environment. They can be applied to narrow and wide panels and are designed in an assortment of structures to provide optimal flexibility and suit any architectural design. The C.H.I. 9200 door series provide simple commercial door options for retail stores and service businesses due to being pre-installed in its own storage pocket including the pocket door. 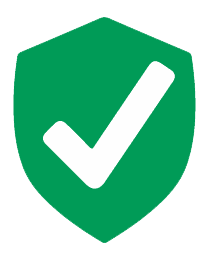 With its new design which reduces installation time without losing security performance, the C.H.I. 9300 lift rolling steel doors are equipped with an exclusive Smart-Lock System. “Super fast service! Professional and friendly technicians; great communication and follow-up. Will definitely recommend and use again.